UNDER MINISTRY CONTROL: Parts of Zealandia, including important buildings and the city of Nya Kronstadt, have come under the control of the Ministry of State Security, according to cablegrams received from the nation this evening. Update, 12:56am: The State Council will meet at 12:35pm ZNT (2:05pm SST), and will cable Sirocco after the meeting’s conclusion. The Times will relay developments as they come to hand. Havilland, WE, Apr 12 · Pri 28 – Zealandia has once again come under the grip of revolution according to cablegrams received this evening from official sources. A ‘Statement to the Public and the Media’ was received by the Times at 10:59pm on Monday evening, in which a change of leadership within Zealandia is indicated. The statement also names Charlotte A. Lindström as Chairwoman of the State Council, with Comrades C. Nymoria, S. Nyborg, D. Grönsson, and General A. Rödsson serving as members. A second cablegram, received at 11:01pm, said that Zealandia Square 1 and Tyrshavngata were under the control of the Ministry of State Security (MfS) as of 9:30pm Zealandian Normal Time (11pm SST). In an exclusive cablegram to the Times received at 11:20pm, Lindström explained the reason for the change in power as the culmination of frustration against the “reactionary” state of affairs in the commonwealth. “The current state of affairs in Zealandia has been pretty abysmal and frankly the clunky and reactionary in nature, put simply the Ministry of State Security and I as Minister had no option but to stage this revolution using the Ministry’s forces and establish all power to the State Council until a new revolutionary constitution can be put before the Zealandian people to ensure that our state can continue to function and exist without stagnating due to bureaucratic procedures that cannot be performed,” Lindström said. News of the change of power was directly relayed from the Times to the Siroccan government, which released a statement at 12:20am this morning. “It is the hope of the Siroccan government that the new State Council of the Commonwealth of Zealandia will bring a swift and peaceful end to the current crisis, and that full and democratic government will be re-instituted as soon as possible,” the statement on the nation’s Facebook page reads. The Times has been informed that the government has wired Zealandia for an explanation of the evening’s events. The Siroccan Broadcasting Corporation, which operates National Radio’s Overseas Service in Zealandia, has said it is unsure of developments within the nation, but is working to get in contact with its 2UDT and 3SWD stations in Denton and Wallander, respectively. International reactions to the night’s events in Zealandia are not yet known, however Emperor Jonathan of Austenasia was seen to ask for clarification when the original cablegram was posted in the Micropolitan IV Skype room last evening. Austenasia maintains sovereignty over its territory in New South Scotland, however it is presently administered by Zealandia under an agreement between the two nations. Further developments are expected to be made known later today. 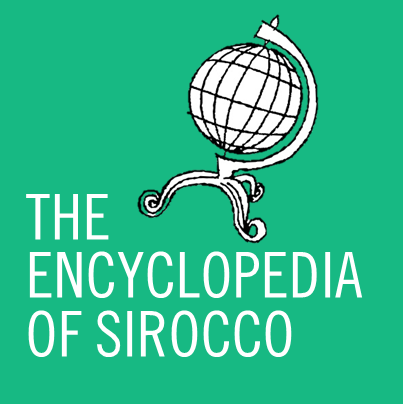 All times are in Siroccan Standard Time (GMT+12) except where stated otherwise. This article was prepared for international dispatch within the Consolidated Wire and Press Association.